From the highest altitude Merlot vineyards in the northern hemisphere we craft a bold, rich red with dark berry, black cherry, and cassis flavors and a sinful smoothness. Bearing a striking resemblance to the Sangiovese of Tuscany, this wine pairs best with garlic and basil in bold-flavored Italian dishes, such as lasagna and bolognese. It also pairs well with wild game, especially elk. 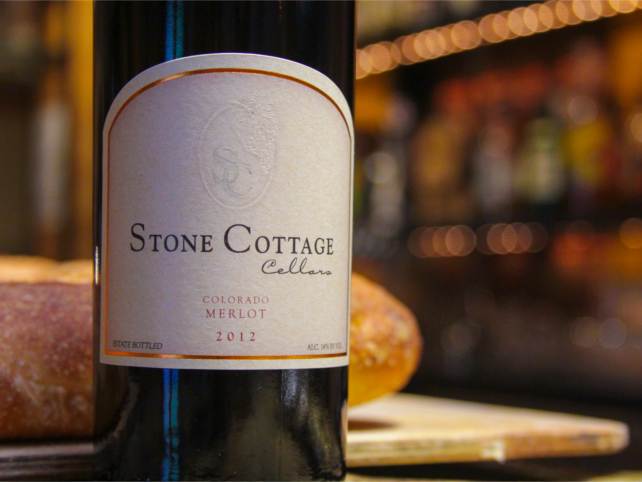 The 2014 Merlot comes exclusively from our vineyard at 6,200 ft. elevation. A mild winter and frost free spring left many fruitful buds to choose from. In mid-August it became obvious that the season would not allow the full crop to ripen, forcing the painful decision to cluster thin and drop one quarter of the fruit on the ground at veraison. That choice was vindicated by the beautifully ripe grapes we began to harvest on October 11. Following a 4 day cold soak, the separate vats of whole berries were inoculated with two different strains of yeast, one to enhance color, one to emphasize black cherry fruit. Fermentation peaked at 70 to 72 F and completed on November 9, nearly one month after harvest. The new wine was pressed into primarily neutral French and American oak barrels. As with previous years, this vintage required nearly 3 years of barrel age prior to release. The barrels were blended together and bottled in late August.